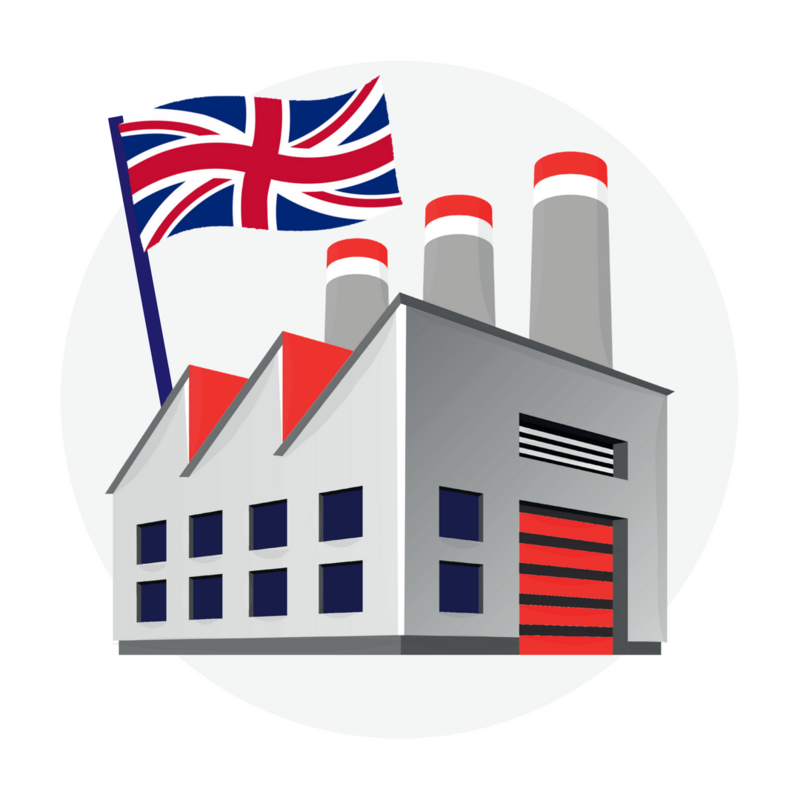 When it comes to British baby brands there are so many great companies out there producing in the UK. Why would you ever want to buy something that wasn’t made here? 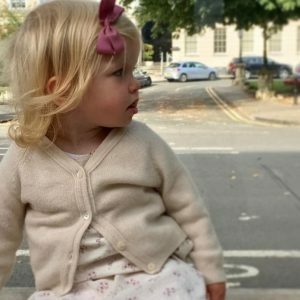 Thanks to our friends on Instagram we’ve put together a list of the best British baby brands out there. 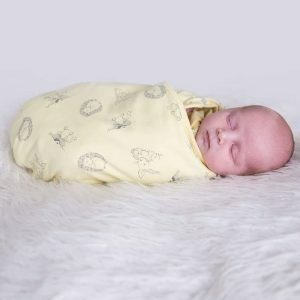 Although we originally called this ’10 of the best British baby brands’ we have had to double it as there were just too many amazing brands to choose from! 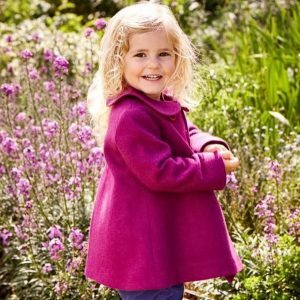 The all British luxury children’s coat specialist. All products are hand crafted in London to the very highest standards. 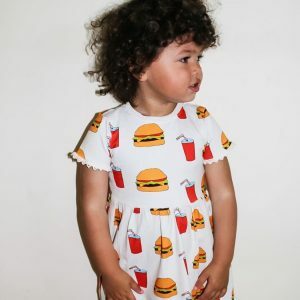 Buttery soft cotton babygrows in cute signature prints are the handwriting of Peacheyboo. 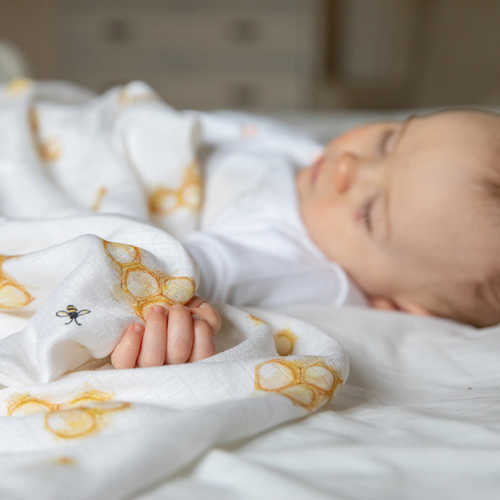 Luxury Swaddle Blankets, Muslin Squares, Bibs, Bedding and Teethers. A gorgeous collection of carefully designed new baby gifts. The Bowtique BowsThe Bowtique’s stunning hair accessories are all lovingly made by hand. Any little princess wearing this will be the talk of the nursery. Any little girl would be the belle of the ball in a handmade party dress by Princess and The Frock. They now have a jersey collection too. Kitsch unisex prints are the signature of Eva and Indie and every piece is handmade to order. ‘Mini Gents’ and ‘Modern Ladies’ are how Didi and Bud describe the toddlers wearing their adorable sleepsuits. 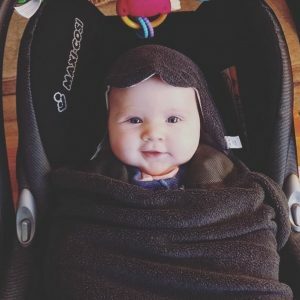 Morrck make car seat blankets with a hood – what a great idea! Handmade baby bibs for every occasion! Beautifully soft and comfortable on baby’s delicate skin. Lovingly created, bespoke designs for baby and toddler. 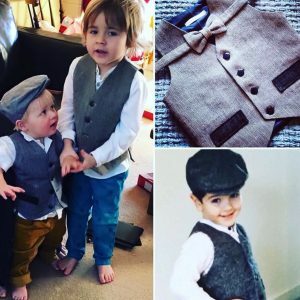 Handmade and personalised in the U.K.
On trend unisex clothing designed by Anna, mum of two. Stay cool. Be bold. Dress modern. Fun, colourful, practical and individual clothing that can be worn by girls or boys. 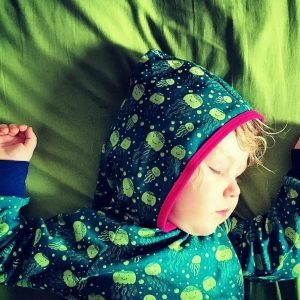 Contemporary clothing and diverse and unisex children’s accessories, handmade in Bristol. 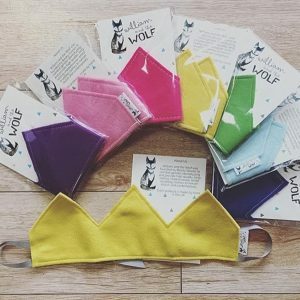 The Wolf pack welcome customise requests! 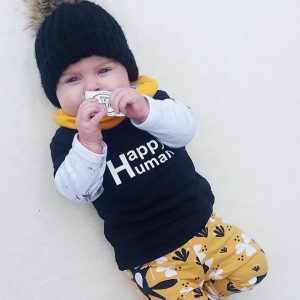 Unisex baby wear that isn’t always neutral or beige! With 5 woodland themes that can be mixed and matched for bespoke newborn look. Anyone else got outfit envy? 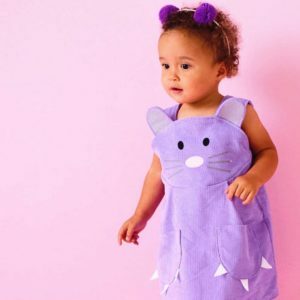 UK based baby boutique and lifestyle brand Tommy and Lottie are big on ethics and sustainability too. Trendy with a conscious! Don’t all babies deserve the softness of cashmere? Brora baby cashmere comes in a selection of classic and contemporary designs. Beautifully packaged stylish and comfortable baby clothes from Hello Mum make the perfect gift for a new mummy. Soft enough for the tinniest of feet the only problem you will find is trying to choose from all the gorgeous designs! Quality children’s clothing and accessories made in Yorkshire! 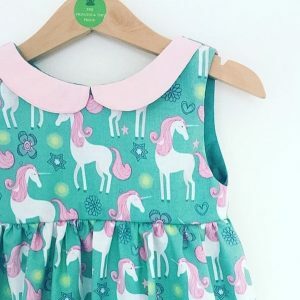 Long term favourites of ours these are such individual and well made children’s clothes! Did we leave anyone out of our list of the best British baby brands? If so, please tell us about them in the comments below. I am looking for UK based factories to produce organic baby clothing, do you mind sharing the name of the factory and any other you may know? Love the organic cotton, nice to see British brands making a comeback. Look forward to seeing more. Excellent images, particularly love the shoes – they look really soft, and will be really interested in watching as brands grow and develop. 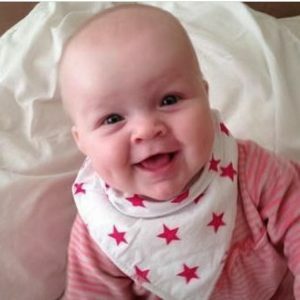 Fabulous to see British Baby Brands brought together here, it would be lovely to have a mention for Splash-Handi’s, we are a unique alternative to traditional burp cloths, proudly patented and lovingly made in the UK, our lovingmilkyburps elves personalise too. Lovely shops and great to see things made in Britain. I’m finding it hard to find a British supplier of plain baby grows. Can anyone help? Hi I’m looking for British made bibs and I wondered if you had any luck? Nice list and most produce adorable clothing. What a great collection of British brands. So glad to see so many nice businesses blooming and producing items that are not on the high street but are specially made. Another business I that I would like to list here is Little Bundles Hifts making some gorgeous baby gifts, Mum to be gifts and nursery decor. http://Www.littlebundlesgifts.com do check it out. 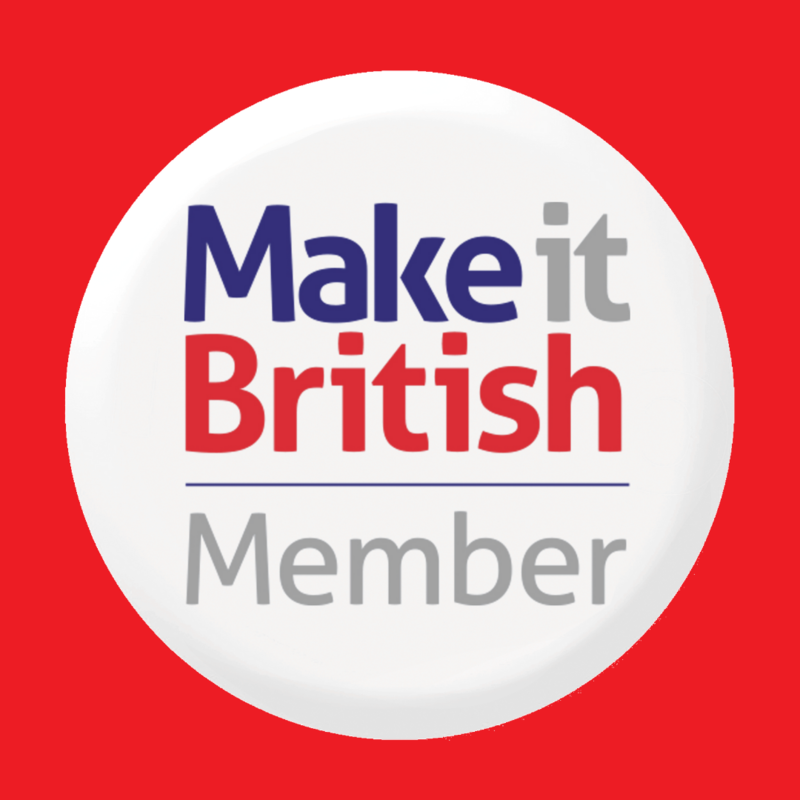 I am looking for something babies item which is made in britain. 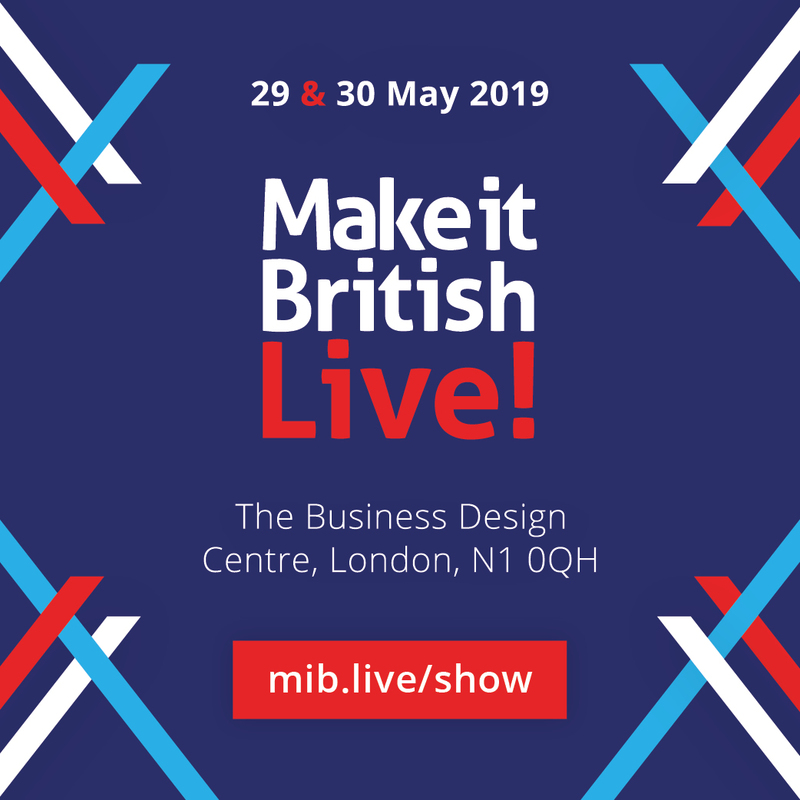 These are all great British brands and lovely products. Can you help me for getting this? Thanks for the sharing such a informative article.